There are several benefits to travelling on a tour or with a private guide. The logistical advantages make a huge difference--instead of worrying about getting from A to B you can just sit back and enjoy the trip. A tour will also enable you to get off-the-beaten path in more remote areas where 4X4 vehicles are essential. 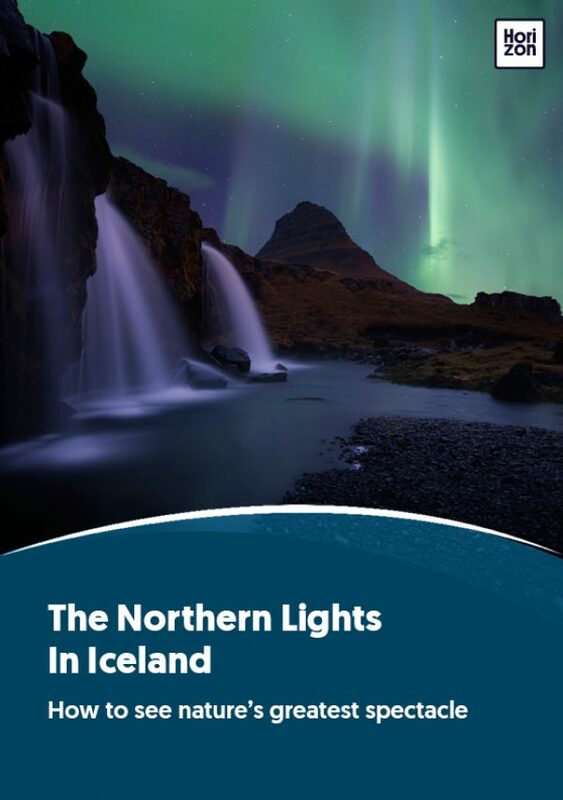 A tour also means having an expert guide on hand, with in-depth knowledge of the Aurora Borealis, the latest forecasts and access to specialist software to track the movement of the northern lights. You can of course see the lights by yourself, but if you only have a few days in the country, you’ll probably want to maximise your chances with an expert. Will light pollution cause any issues? Light pollution can get in the way in Reykjavik and sometimes in Akureyri, but virtually everywhere else it won’t be a problem. Will I need a high-resolution or DSLR camera to photograph the northern lights? A professional camera isn’t necessary, but to capture decent photos you’ll need a tripod and a camera that allows you to control the shutter speed and to override the flash. If your camera offers the settings, you should choose a high ISO (at least 800) and a nice, long exposure--at least 15 seconds. If in doubt, bring plenty of memory cards so you can shoot at will and play around with the settings! How do I get to/around Iceland? International flights arrive at Keflavik International Airport, about 50km southwest of Reykjavik. This is Iceland’s only international airport. It serves more than 30 airlines and receives flights from Europe and North America. Flying times are roughly three hours from London and five hours from New York. In recent years, Iceland has become a major stopover destination for trans-Atlantic flights. Once in Iceland, domestic flights leave from Reykjavik Airport (located in central Reykjavik).This is the main base for flights to the rest of the island, serving three airlines with daily flights to Akureyri (north Iceland), Egilsstaðir (east Iceland), Ísafjörður (Westfjords), Höfn (southeast Iceland) and Vestmannaeyjar. Icelanders rely heavily on their road system because there is no train network. The Ring Road, or Route 1, is the main circular road connecting most of Iceland’s main settlements. The total length of the two-lane road is 1,332km and it connects popular attractions to the capital, including Selfoss (south Iceland), Egilsstaðir (east Iceland), Akureyri (north Iceland), and Borgarnes (west Iceland). Iceland is renowned for being a family-friendly and welcoming country. Many hotels and hostels have family rooms, and many tour organisers and travel companies are certified by Barnaverndarstofa (the Government Agency for Child Protection). There are plenty of attractions for children, particularly those related to huldufólk, the elf-like ‘hidden people’ that play a central role in Icelandic folklore. Practically speaking, the climate and access conditions to some of Iceland’s natural attractions make them less suitable for babies and very young children. If in doubt, it is advisable to ask your tour operator for further guidance. What are some local food & drink highlights? Skyr: Iceland’s local yoghurt is thick, sweet, sour, and goes well with both sweet and savoury dishes--and is just as tasty when eaten on its own. Skyr, which is technically a soft cheese, is sold in many different flavours, including blueberry and strawberry, but it is only authentic Skyr if it is produced in Iceland. Hákarl: It’s not for everyone. You need to be particularly adventurous to try rotten shark, but it is a local speciality that is sold in shops that only sell this most Icelandic of foods. It smells horrible, its taste is unique, and its texture is chewy, but it’s definitely local. Rúgbrauð: This is a local rye bread that can be baked by being placed in a wooden cask that is buried in the ground next to a hot spring. Icelanders serve the dark brown bread with butter or smoked lamb. Brennivin: A local unsweetened schnapps that is usually bottled at 40% ABV strength and is served in bars across the country. The strong vodka-like drink is usually served in a shot glass. Bland: A mix of Appelsin (orange soda) and malt (dark and sweet malt) is popular at Christmas time, and it is non-alcoholic.